Dallas Cowboys quarterback Tony Romo greets Philadelphia Eagles quarterback Nick Foles. The Eagles are defending NFC East champions, and were owners of the NFL’s third-best offense1 last season. 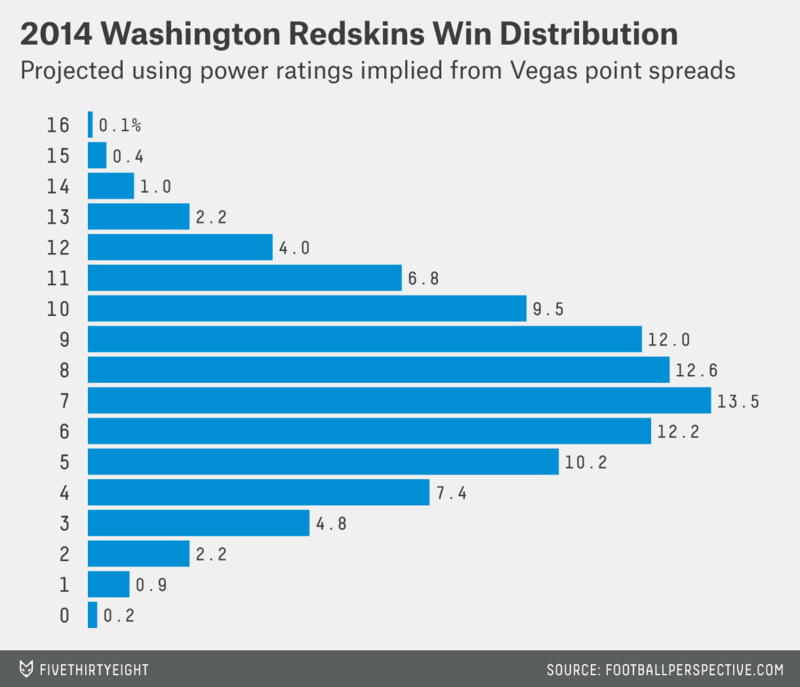 They’re the division favorites in the eyes of Las Vegas’s preseason over/unders. Expectations have escalated compared to the mood before last season, when the Eagles were coming off a disastrous 4-12 campaign with an unproven, gimmicky coach. But there are also a number of red flags that traditionally portend a decline. First, there’s the Plexiglas Principle, an offshoot of reversion to the mean. It holds that teams making a large improvement from one year to the next tend to give back some of that progress the next season. Historically,2 teams like Philadelphia — which improved by six wins from 2012 to 2013 — declined by an average of 2.6 wins the following season. The Eagles also fueled their turnaround with one of the NFL’s best turnover margins, especially after Nick Foles took over as primary quarterback in week five. Foles had the third-lowest single-season interception percentage of any passer in NFL history last season. Turnovers and interceptions can be quite fickle, though. Individual interception percentages are notoriously random from season to season, and there’s almost no relationship3 between a team’s per-game turnover differential from one season to the next. And none of this even considers the self-inflicted loss of wide receiver DeSean Jackson. Or that 76 percent of historical players comparable to running back LeSean McCoy — Philadelphia’s best player a year ago — declined the following season. Or that the Eagles aren’t likely to stay as healthy this season. For Dallas, the culprits are varied. The Cowboys’ defense has generally been inadequate, particularly since Jason Garrett succeeded Wade Phillips as head coach (the defense has allowed the fifth-most points and the highest ANY/A in the league since 2010). Injuries to Romo9 have forced Jon Kitna, Brad Johnson, Kyle Orton and Stephen McGee to make emergency starts under center.10 The effectiveness and health of the team’s ball-carriers have been wildly inconsistent from season to season.11 And Dallas’s special teams have usually been mediocre as well. Whatever the reason, the Cowboys are currently staring at the prospect of another season spent with successful passing, but a modest win-loss record. 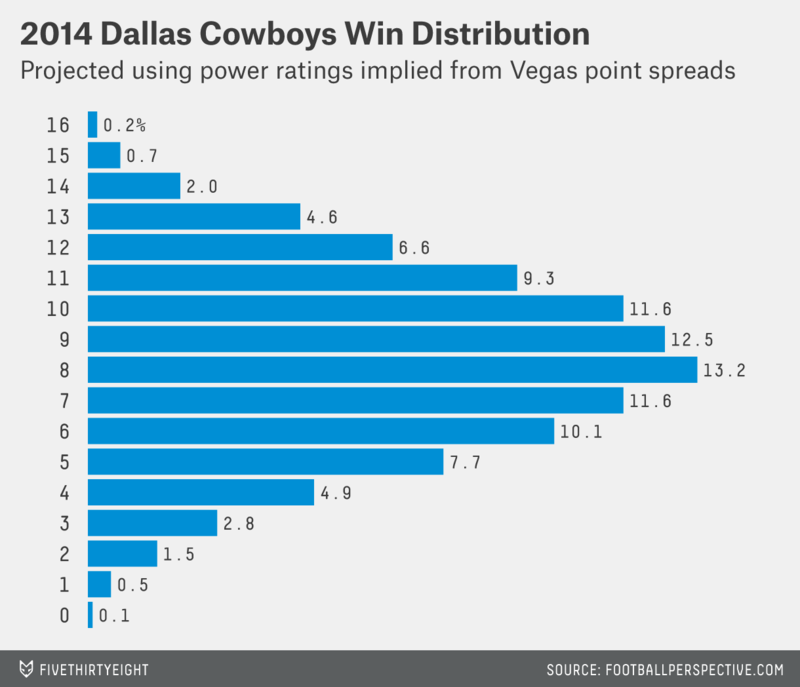 (Las Vegas’s preseason over/under win totals have Dallas winning between seven and eight games in 2014.) And that’s if they’re lucky — according to Football Outsiders’ KUBIAK forecast system, the 34-year-old Romo projects for a career-worst12 passing year this season. Even though the New York Giants finished the 2013 campaign with a disappointing 7-9 record (snapping a streak of eight consecutive seasons with at least a .500 mark), it doesn’t seem like that long since Eli Manning was slinging the ball to Mario Manningham, Victor Cruz and Hakeem Nicks in the 2011 playoffs … does it? And while it’s relatively uncommon for Super Bowl champions to drop below .500 within two years,13 even those teams that do tend to turn things around the third season after their championships. Five out of seven returned to better than .500 that year, averaging 10.6 wins. However, those numbers assume a certain amount of continuity between the Super Bowl-winning version of a team and its incarnation three seasons later. For most champs, that’s a safe assumption: Joe Montana was a major contributor to the 1981 and 1984 49ers; ditto Mike Webster for the 1978 and 1981 Steelers. But these Giants are the exception. Just three seasons later, they’re carrying over as few contributors from their last Super Bowl roster as just about any ex-champ in decades. We can quantify this using Pro-Football-Reference’s Approximate Value (AV) statistic, which attempts to generate a single numerical value representing the quality of any player’s season, regardless of position. (AV isn’t perfect by any means, but it is designed for big-picture studies like this, where we need to group players according to their general contributions.) We don’t yet know what kind of AV totals will be produced by members of the Giants in 2014, but we do know how much they produced in 2011 — and how many of those players will still be on the roster this season. By that measure, this year’s Giants are set to return only 34.6 percent of the AV generated by their 2011 roster. That’s the third-smallest return among Super Bowl champions since 1970. Manning, Cruz and Manningham (and edge rusher Jason Pierre-Paul) are all back, but that’s just about it in terms of the Giants’ major contributors by AV in 2011. Nicks and running back Ahmad Bradshaw, both of whom tore through opposing defenses during New York’s playoff run, are gone — along with 15 other members of the team’s starting lineup from Super Bowl XLVI. Remember how five of the seven ex-champs who were below .500 two years later bounced back with winning records in the third year? The two that didn’t were the 1970 Colts and the 1991 Redskins, both of whom lost about as much AV three years after their Super Bowl as the Giants have. It wouldn’t be a shock if Big Blue is bound for the same losing destiny in 2014, just three seasons after hoisting the Lombardi Trophy. Quarterbacks are usually the focus of every team’s attention, but that’s particularly the case in Washington, where the fate of the Redskins’ entire franchise seems to rest on Robert Griffin III and his surgically repaired right knee. When Griffin was brilliant as a rookie in 2012, Washington went 10-6 (its first 10-win season in seven years) and won the NFC East for the first time since 1999. But with Griffin recovering from injury a year ago — and evidently not his usual self because of it — the Redskins collapsed to 3-13. It doesn’t take an insider who understands of the game of football to see that Washington will likely rise or fall this year on the basis of Griffin’s play. If the Redskins are counting on Griffin to duplicate (or exceed) his performance of two years ago, they might need a reality check. It’s very possible that Griffin will never again reach that level of play — and it has little to do with his injury. Griffin’s 2012 season was a masterpiece. He led the NFL in yards per attempt, and tied Tom Brady for the league’s lowest interception rate. He also led all quarterbacks in rushing yards and yards per carry. Remember all of those early-2000s articles about how a new wave of dual-threat quarterbacks — strong-armed and accurate, with a sprinter’s speed — would revolutionize football? That was Griffin, at his best, in 2012. It also could never last. On a practical level, the more RGIII played, the more defenses could prepare for him (the dreaded “year of tape”). And sure enough, in the first month of the 2013 season, opposing defenses had already started catching up to the read-option scheme that Washington had used to such great effect with Griffin in 2012. There was also the matter of a microscopic interception percentage that was primed to regress to the mean. 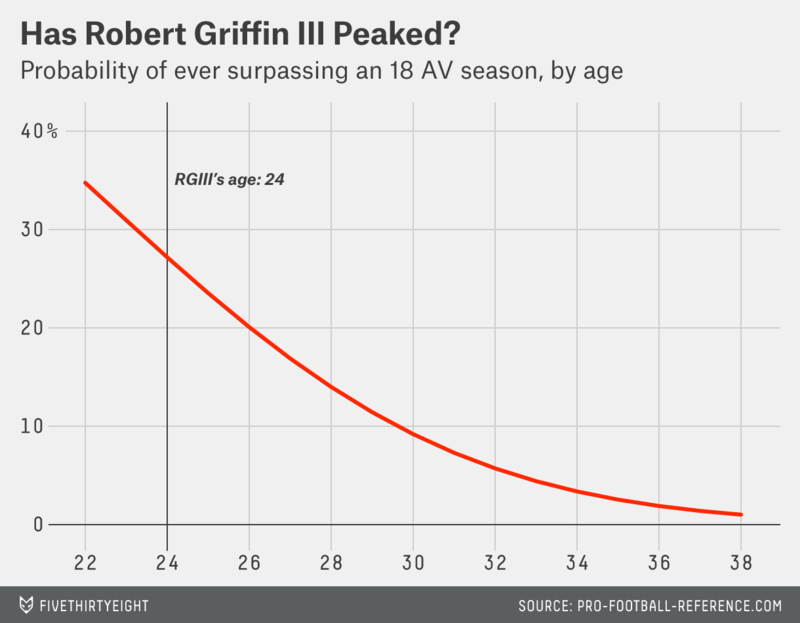 We should also consider how exceptional Griffin’s statistical portfolio really was. According to Pro-Football-Reference’s Approximate Value (AV), only 35 quarterback seasons since 1950 were better than Griffin’s 2012 campaign. It was a once-in-a-career type of performance, perhaps literally. If history is any guide, the odds of Griffin ever surpassing his 2012 season weren’t high (only about 1 in 3) even before his knee injury. The problem with such rare performances is that they’re the product of both skill and luck,14 which means they aren’t likely to be repeated — no matter how good the player is. According to Football Outsiders’ numbers. Looking only at NFL seasons with a 16-game schedule. 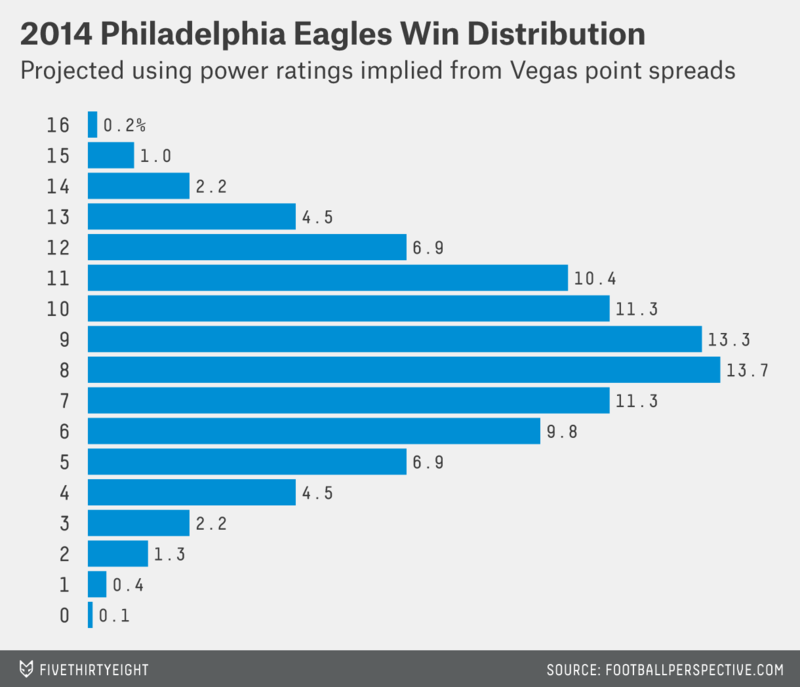 It can apply to component statistics like turnover margin, too, and the Eagles improved by a staggering 36 net turnovers from 2012 to 2013. The New England Patriots, New Orleans Saints, Green Bay Packers and San Diego Chargers. Defined as the player who led the team in dropbacks (attempts plus sacks) in a season. Those with an ANY/A+ of at least 110. Since the 1970 AFL-NFL merger, only 10 teams posted fewer wins in an eight-year span with primary passers averaging an ANY/A+ of at least 115. He missed 14 starts over the last six seasons. These don’t count toward the average above — except in the case of 2010, when a 38-year-old Kitna led the team in pass attempts. Before ranking fifth in rushing defense-adjusted value over average (DVOA) a year ago, they’d finished 24th and 27th on the ground in 2012 and 2011, respectively. Twelfth place among quarterbacks in DVOA. 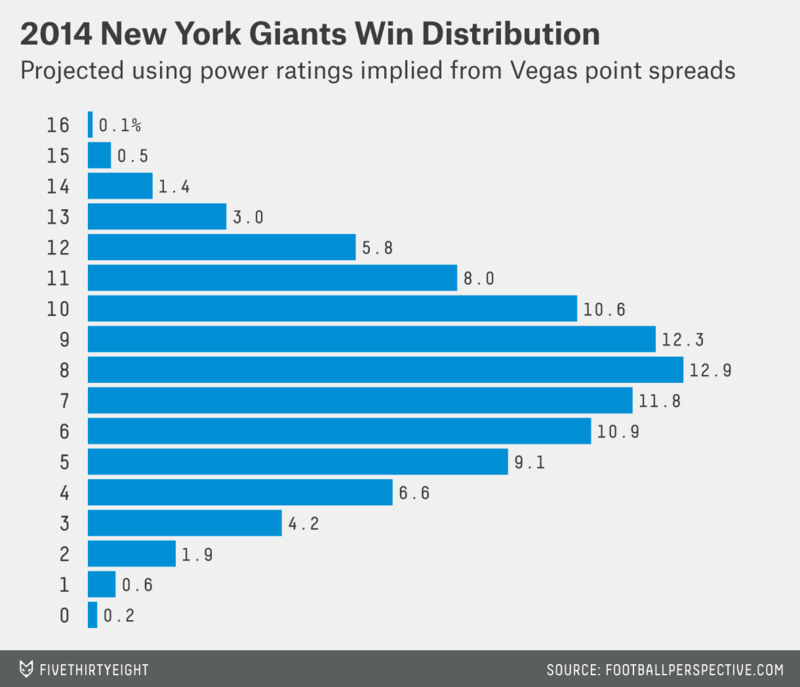 New York is just the seventh ex-champ to do so since the 1970 AFL-NFL merger. Even if just in the sense of landing in the right scheme at the right time.